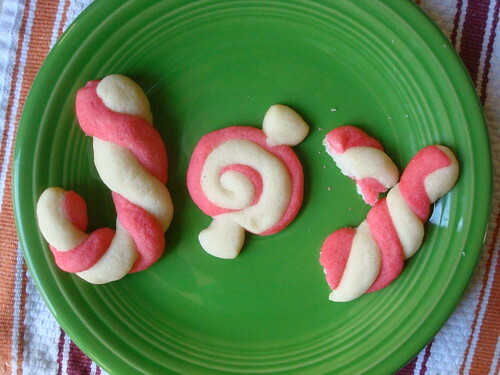 Candy Cane Cookies! Love forever. Elastic realism, with a side of sweetness. Peppermint candy ornaments that you can make at home! This gingersnap shake has no dairy or gluten, but it sure looks tasty. Good collection: Martha Stewart's favorite Christmas cookie recipes. Of interest to foodies all over: the FOOD exhibit at the Smithsonian. Beautiful story: Megan Seling makes Martha Stewart's cookies and learns some things about life, too. Donut doubt that Hanukkah can be delicious. Here's a suite of sweet donut recipes. Cutest thing ever: teeny tiny elf doughnuts. Want more holiday links? Not Martha has a great batch for you.